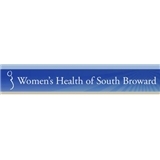 Women's Health of South Broward (Miramar) - Book Appointment Online! We are extremely pleased that you have chosen to visit our practice. At Women's Health of South Broward, Dr. Bratter strives to provide the type of care that all women are hoping for. We offer a very personal type of medical care, in a relaxed, easygoing environment. We have chosen to limit the number of daily appointments, so that each patient can receive this very special care that has long been forgotten in medicine. WHSB provides a very comfortable atmosphere with minimal waiting time. Questions and discussions regarding your care are encouraged, and we will always try to allow as much time as needed to make our patients feel satisfied. Dr. Bratter has chosen to perform his surgical and Obstetric Care at Memorial Hospital Miramar. This is the beautiful new addition to the Memorial Healthcare system which was opened in 2005 and consistently receives the highest patient satisfaction scores. Please explore the site to learn more about Dr. Bratter and the services offered.